The Founder's Trophy on the parade route during the Rose Paradeon January 2, 2017 in Pasadena, California. 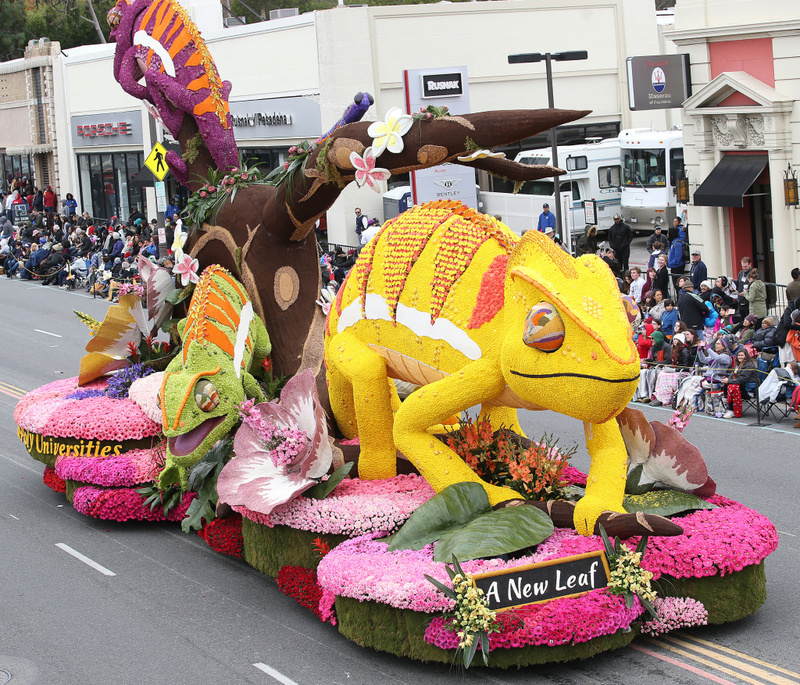 The Rose Parade's 5-mile route will be closed to vehicles before midnight New Year's Eve, the Pasadena Police Department announced Thursday, in a security-motivated departure from previous years. It's a new tactic to increase security in light of mounting incidents where crowds have been subject to attacks by snipers, rental trucks, knives and bombs. In past years, Colorado Boulevard from Orange Grove to Sierra Madre has been open to vehicles overnight until just before dawn New Year’s Day. 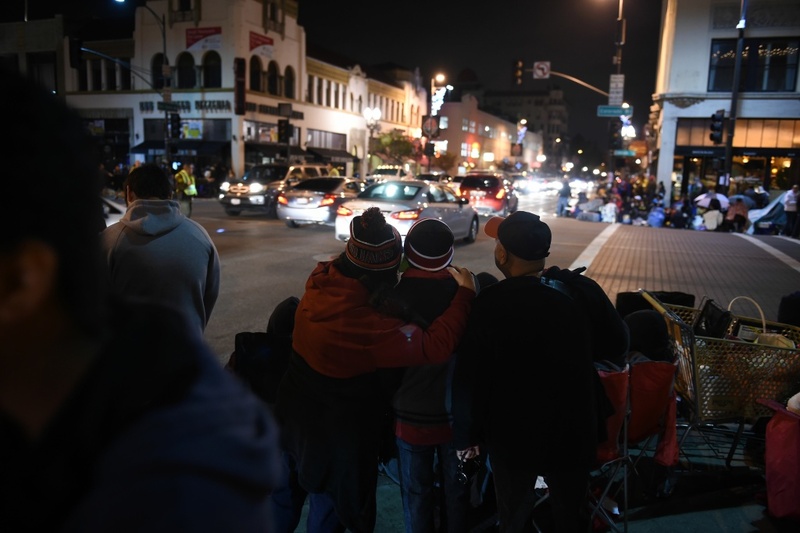 This year, the closure starts around 10 p.m.
People line the streets as they await the start of the 128th Rose Parade in Pasadena, California, January 2, 2017. The closure is one more tactic to build layers of protection around a potential soft target, says Pasadena Police Chief Phil Sanchez. "We are always interested in adding these concentric circles so that we can protect our parade goers," Sanchez said. In addition, 52 small side streets that let onto the parade route will be blocked with heavy vehicles or other barricades, and 21 major cross streets will be controlled by traffic officers until they close in the hours before the parade. Colorado Boulevard re-opens once the parade has passed by. In the hours before the parade, a dozen local, state and federal police agencies will patrol the gathering crowds using uniformed and undercover officers and bomb-sniffing dogs. "Arrive early and bring a lot of patience," Sanchez said. 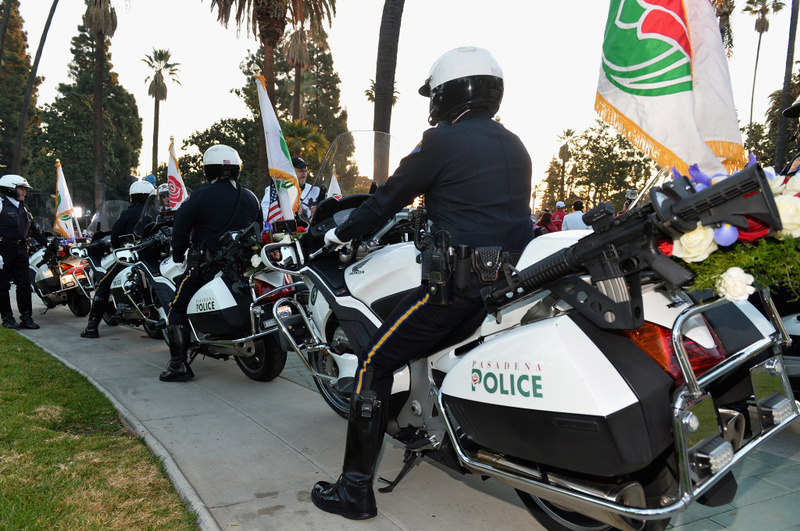 City of Pasadena Police Officers attend the 125th Tournament of Roses Parade Presented by Honda on January 1, 2014 in Pasadena, California. He urged parade and football game attendees to follow their instincts and report any suspicious or unusual packages or behavior to police. Other measures that Sanchez declined to describe are focused on reducing the threat of attacks from high places, like the multi-story buildings that line Old Town and downtown Pasadena. Pasadena Fire Chief Bertral Washington advised parade-goers to dress warmly for overnight and early morning temperatures in the mid-40s, and to bring hats and sunscreen for the midday temperatures in the 70s. 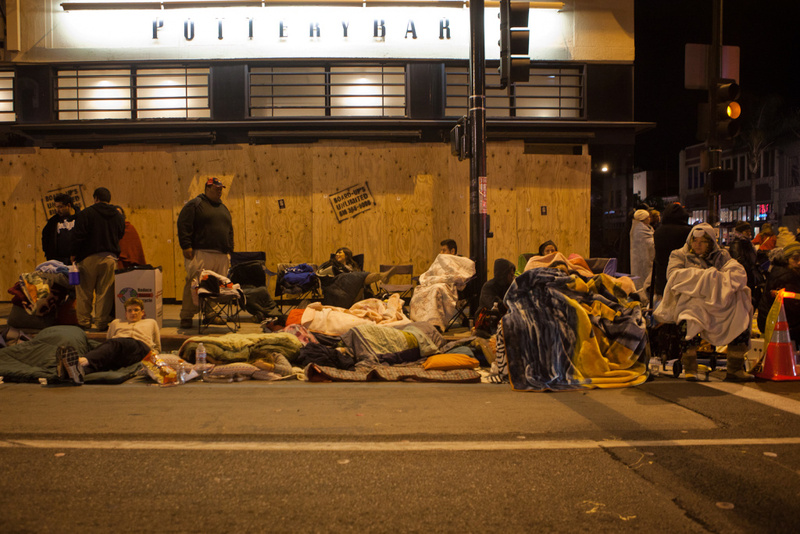 People camp out near Colorado Boulevard to reserve front-row seats for the Rose Parade several years ago. Officials are also asking parade-goers to bring less stuff to reduce the necessity of checking backpacks and bags. On top of that are the usual public safety rules for the parade route: no bonfires, no sofas, no ladders, no tents and no drones. Also, no alcoholic beverages are permitted on the parade route, Washington said. Drunk people are more likely to hurt themselves and to get ill from dehydration or cold, he aid.